The U.S. Department of Education announced today the release of the 2016 National Education Technology Plan and new commitments to support personalized professional learning. Implement universal design principles for accessibility across all educational institutions and include these principles within teacher preparation programs. In addition to the release of the plan, the Department celebrated the one-year anniversary of the Future Ready initiative with the announcement of new commitments including the launch of 17 statewide Future Ready initiatives. 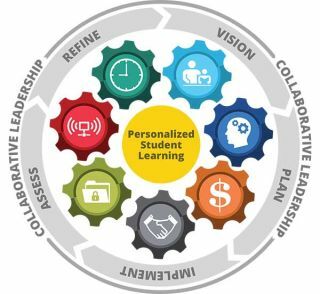 The Department’s Office of Educational Technology also unveiled a set of professional learning resources to help district superintendents and their teams to effectively lead the transition to digital learning. The Alliance for Excellent Education has launched a new, independent entity called Future Ready that will lead the charge for ongoing Future Ready work. The new Future Ready website features a one-stop resource center for ongoing professional learning opportunities including partner events, workshops, online chats, mentoring and topic conversations all aligned to the Future Ready Framework. The Future Ready coalition includes 44 national partner organizations and 12 new regional organizations. Future Ready partners are launching extension programs such as toolkits, webinars, courses, workshops and mentoring programs to provide support for districts and states as they transform teaching and learning in their schools. These implementation support programs can be found at FutureReady.org. Seventeen states are launching Future Ready statewide initiatives designed to capture and harness the momentum of the national effort. The states are: California, Indiana, Kansas, Kentucky, Maine, Maryland, Massachusetts, Michigan, Missouri, New Hampshire, New Mexico, North Carolina, Rhode Island, Utah, West Virginia and Wisconsin. The Department will hold five regional Future Ready summits in 2016 in Austin, Texas; Boston, Massachusetts; Madison, Wisconsin; Seattle, Washington; and Tampa, Florida. The summits are open to district leadership teams from districts where the superintendent has signed the Future Ready District Pledge. For more on the work of the Department’s Office of Educational Technology, visit http://tech.ed.gov.